According to rental site Zumper, median rents for a one-bedroom in Raleigh are hovering around $1,193. But how does the low-end pricing on a Raleigh rental look these days--and what might you get for the price? Here's a studio apartment at 211 Ashe Ave. in Hillsborough, which, at 260 square feet, is going for $695/month. When it comes to building amenities, expect assigned parking, outdoor space and on-site laundry. 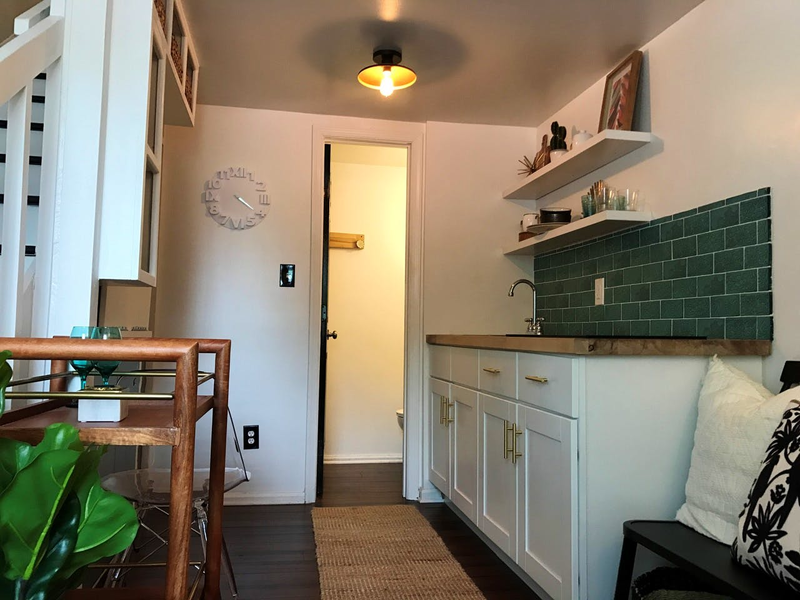 In the unit, expect to find high ceilings, both air conditioning and central heating, hardwood flooring, a balcony, a deck and a walk-in closet. When it comes to pets, both meows and barks are welcome. Be prepared for a $200 pet fee. Per Walk Score ratings, the area around this address is somewhat walkable, is convenient for biking and has good transit options. Listed at $800/month, this 700-square-foot one-bedroom, one-bathroom condo is located at 104 Horne St., #8 in Wade. The building offers assigned parking, secured entry and shared outdoor space. In the unit, you're promised both air conditioning and central heating, in-unit laundry, large closets, white appliances and wooden cabinetry. Pet owners, inquire elsewhere: this spot doesn't allow cats or dogs. The rental doesn't require a leasing fee. Walk Score indicates that the surrounding area is friendly for those on foot, is quite bikeable and offers many nearby public transportation options. This one-bedroom, one-bathroom condo, situated at 705 Daniels St., #C in Hillsborough, is listed for $825/month. The building offers assigned parking, secured entry and shared outdoor space. In the unit, look for an open living room floor plan, air conditioning, in-unit laundry, white appliances, wooden cabinetry and wooden countertops. Cats and dogs are not welcome. There's no leasing fee required for this rental. Walk Score indicates that this location is friendly for those on foot, is relatively bikeable and offers many nearby public transportation options. Finally, there's this one-bedroom, one-bathroom apartment at 300 Horne St., #2 in Wade. It's being listed for $1,100/month. The building features assigned parking, on-site laundry and secured entry. In the unit, expect an open living room floor plan, high ceilings, hardwood flooring, large closets and ceiling fans. Pets are not welcome. Future tenants needn't worry about a leasing fee. Per Walk Score ratings, this location is friendly for those on foot, is quite bikeable and offers many nearby public transportation options.